First trailer for the upcoming road movie. Country Strong and Endless Love writer/director Shana Feste's latest drama, Boundaries, stars Vera Farmiga as a mother who reluctantly takes a cross country road trip with her estranged pot-smoking father (Christopher Plummer) and 12-year-old son (A Monster Calls' Lewis MacDougall). The film also stars Kristin Schaal, Bobby Cannavale and Peter Fonda. 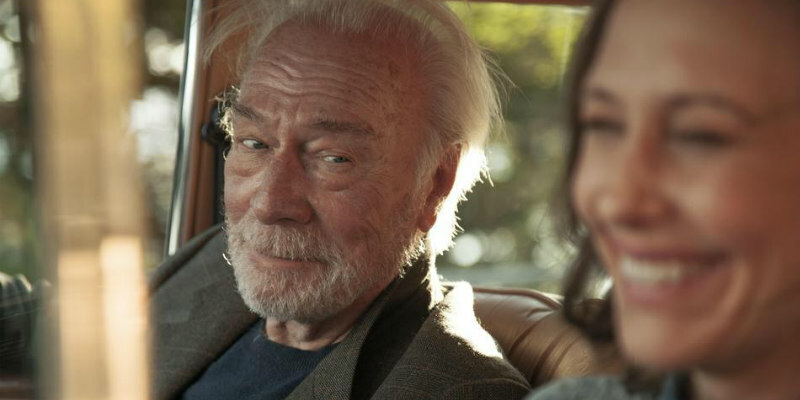 Boundaries is in US cinemas June 22nd, with a UK/ROI release yet to be announced. The more LAURA (Vera Farmiga) tries to set boundaries in her life, the faster those lines are crossed. Her 12-year-old son HENRY (Lewis MacDougall) is in trouble again at school. Her own penchant for adopting stray dogs and cats threatens to overwhelm their Seattle home. And her phone keeps ringing with calls she refuses to pick up—from her estranged father JACK (Christopher Plummer). Maybe Jack will stick around. For Laura, the chance to accept, forgive, and heal will never go away.